• It reduces damage to in-ground lighting. 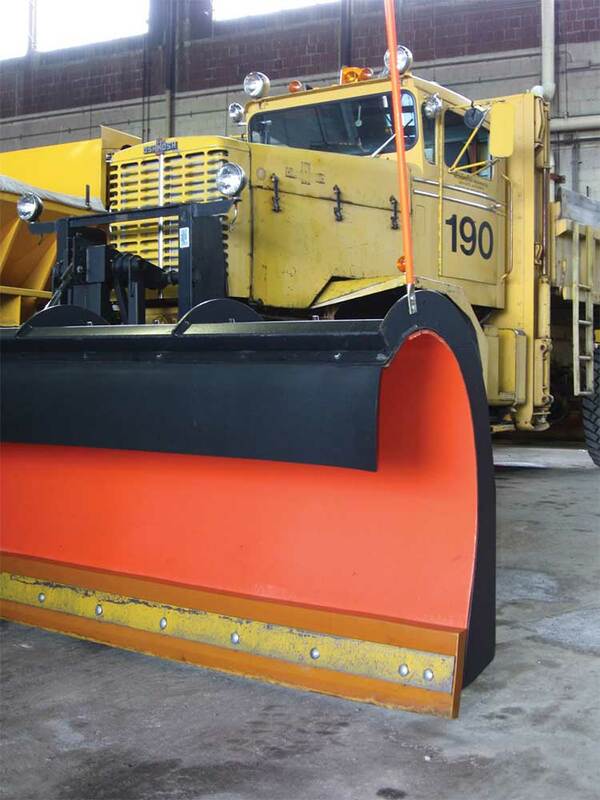 • It reduces impact on plows, blowers, and vehicles when solid edges, objects or surface changes are impacted. • It greatly reduces driver fatigue. • It will outlast rubber by approximately 8:1 in applications requiring low impact cutting edges. • Urethane cutting edges are multi-adjustable for extended use. • Blades are custom cast to customer requirements for thickness, length, width, edge angle, and mounting bolt patterns. • Water and slush are squeegeed out of shallow depressions preventing ice spots from forming.